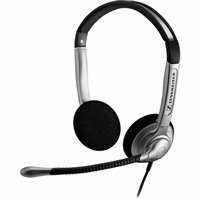 Comfortable over the head monaural headset. 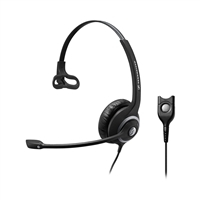 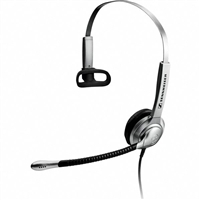 Circle™ SC 230 (single-sided) and SC 260 (double-sided) are professional wired headsets that offer Sennheiser Voice Clarity, all-day comfort, robust quality, perfect fit, and noise-cancelling microphone. 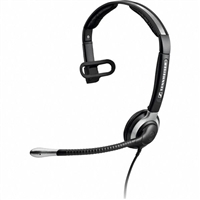 The SH 250 is an over-the-head, double-sided headset with flexible boom, omni-directional microphone and ActiveGard® protection technology. 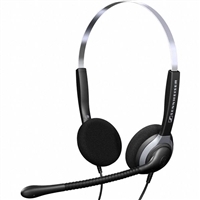 Over the head Monaural headset with a noise cancelling mic. 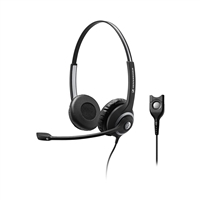 The SH 350 over-the-head, double-sided headset features large ear cups supplied with noise-cancelling microphone and ActiveGard® protection technology. 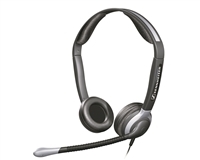 Over the head, monaural headset supplied with ultra noise cancelling microphone and ActiveGard® protection technology. 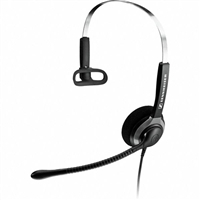 Extremely robust.